Little Elf desperately wants to be employed in Santa's Workshop. He wants to be a toymaker and make the toys for all the girls and boys. 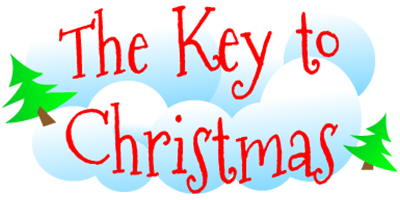 But.... the head of the workshop, Miss Key To Christmas, doesn't think the little Elf quite understands the meaning of Christmas and sends him off on an adventure to discover the key to Christmas. With help from a very amusing Crocodile, Hand, Cow and of course the charismatic Key To Christmas herself, little Elf is soon in the Christmas spirit. Santa is so impressed with little Elf's enthusiasm that he asks him not to be a toymaker but one of his personal helpers. Little Elf could not be happier and becomes one of Santa's Helpers. There is colourful scenery and props, adorable puppets, songs to sing, stories, clever illusions, loads of audience participation and of course it just wouldn't be Christmas without a visit from the grand old man himself, Santa Claus. The Key to Christmas is the ideal way to commence, continue or conclude your Christmas celebrations each year. The children were laughing and clapping having fun right from the start of the show until the end. The staff and children thoroughly enjoyed the show, it had a variety of elements like singing, movement, colour recognition and a fun story line. Liz Butler. Kindalin Child Care Centre. Glenhaven. NSW. 15/12/2014. We loved the interaction between the children and the Elf. The show was very funny! Joanne Harris. Northmead Kindergarten. NSW. 9/12/2014. Children very captivated. Loved the crocodile puppet. Great costumes and set up. Great duration. Hugh was very enthusiastic, extremely organised with a pleasant manner - polite and helpful. Kerryn Booth. The Beach Early Learning Centre Kincumber. NSW. 4/12/2014. Great show, well designed, fantastic props and "Eno the Elf" was loved by all the children. Very engaging and interactive. Hugh was great. He held the children's attention with his enthusiasm and pacing of active/quiet moments in the show. Set up and pack up was a breeze. Thanks again for a fantastic show! Vanessa Hawthorne. Fauna Place Early Education Centre. Kirrawee. NSW. 4/12/2014. Suitable: K to Year 2. Minimum Audience Size: 100 students. Times: Show: 45 minutes. Set up: 40 minutes. Pack up: 40 minutes.